It’s an unfortunate fact of aging that as we get older, we’re more likely to incur injuries or illnesses that could require rehab for elderly patients after a hospital stay. And regardless of whether it’s a short or a long stay, the recovery process doesn’t end as soon as a patient has been discharged. For many seniors, a trip to the hospital will be immediately followed by a stay in rehabilitation. Services like physical therapy for elderly patients, speech therapy or skilled nursing care are best provided in these specialized locations until a senior is fully recovered. What many seniors and their families don’t know, however, is that rehabilitation options aren’t as limited as they may think. There is a variety of choice available, both in where the rehab actually takes place and the level of activity it will involve. 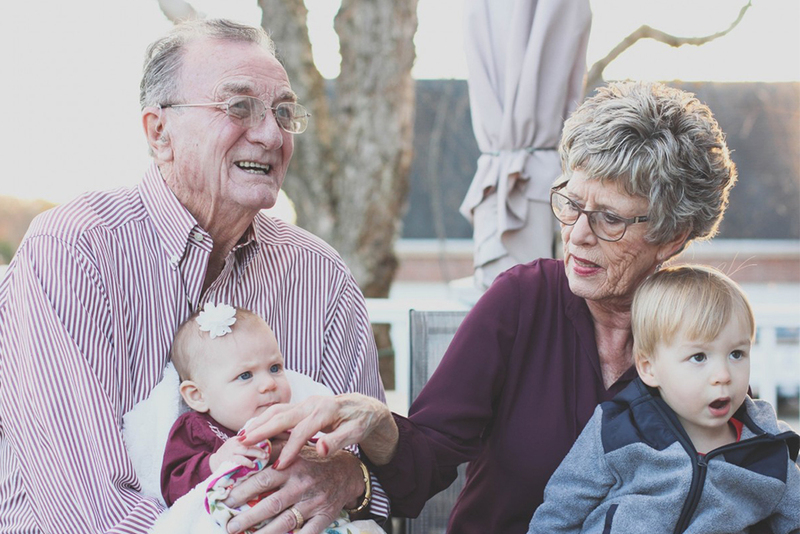 Each family’s situation will obviously be different, but rehab for elderly adults can be completed in familiar environments like a senior’s home, a family member’s home, or more specialized locations like a skilled nursing or assisted living community. What’s most important is choosing the option that is least likely to result in a readmission to the hospital. Detailed below, are some of the rehabilitation options seniors in eastern Pennsylvania can explore. This kind of senior rehabilitation center is typically for those who require round-the-clock nursing care from a skilled medical professional. Usually, the stays in these locations are short-term, and can be covered by Medicare for up to 100 days. However, there are conditions to entry, namely, it must be a Medicare-approved location and residents have to move in within 30 days of a hospital stay that was at least three days long. The primary concern of a rehabilitation center is getting residents feeling better and back home as quickly as possible, thus they can often have a more clinical feel, with hospital beds and shared rooms as not uncommon features. For those who require extensive medical attention, this is likely the most effective choice; but for those wanting to heal in a more warm and comfortable environment, there are other options. It makes sense that people prefer to recover in their own home, especially after a recent hospital stay. If you or your loved one decides to rehab at home, it can be both a physical and psychological boon to recovery. Being at home provides a feeling of independence and familiarity that has the potential to speed up the recovery process, rather than feeling stuck in a hospital-like setting. Instead, the surroundings are your own, as is the bed that’s being slept in every night. Small comforts like these have the power to make a huge difference. In this situation, a licensed medical professional will come to the home for a specific duration of time to address a specific rehabilitative need. Of course, this then means those in recovery have to be responsible and motivated to follow the exercise and physical therapy recommendations of the care provider during their own free time. Another potential drawback of in-home care is the lack of peer support and socialization that would otherwise come from being in a specialized rehabilitation center. There is a third rehab for elderly option that fits perfectly in between the comfort of at-home care and the round-the-clock reliability of skilled nursing: Rehabilitation services at an assisted living and personal care community. Similar to in-home care, this option allows for specific types of therapy and nursing services which can be covered by Medicare, but with the added comfort of 24-hour assistance in a homestyle setting surrounded by others who are equally motivated to get back on their feet and back to their daily lives. And if the recovery process requires support with daily living tasks like bathing, dressing or meal preparation, the experienced staff is nearby and available. Many assisted living and personal care communities also have the benefit of high-tech recovery equipment. This type of environment, with so many available perks and caring professionals on hand, is a less restrictive and more empowering setting than rehab hospitals. What kind of treatment is offered? Everything in regards to rehab depends on the reason for hospitalization in the first place. Some recovery processes will require a combination of therapy services. If this is the case, whichever rehab location is chosen should offer a comprehensive approach to promote a full recovery. If moving into a rehab center or assisted living and personal care community, residents should find out what kind of privacy they can expect to have during their stay. Still, it helps to know whether or not private rooms are available and can be reserved in advance. One of the biggest advantages to staying in a rehabilitation center or community is the chance to receive one-on-one care from experience medical professionals. The road to recovery can be made that much more comfortable by having a caring staff in place that offers customized treatment plans and individual attention for each patient. Find out how you or your loved one will spend the time in between rehab sessions. Some days will likely include a variety of activities in addition to therapy treatment and even fun social events. A more structured day is incredibly helpful with engaging both body and mind. Does the center offer outpatient or at home therapy after the rehab stay? Once the rehab for elderly after hospital stay has come to an end, the recovery process continues. It’s important to understand how the rehabilitation center will assist in the transition back home. Many locations offer at-home or outpatient services which can encourage seniors to continue therapy on their own or at a senior rehabilitation center. If you’re ready to learn more about rehabilitation services at Jewish Home of Eastern Pennsylvania, contact us today!